In an unprecedented move to encourage international tourists to visit, Hangzhou, capital of the Zhejiang, China, has launched an open door policy and a new campaign to promote tourism. Spearheaded by Li Hong, director of Hangzhou Tourism Commission, the campaign will target more than a dozen countries around the world including the United Kingdom, Germany, France and United States. Hangzhou is the first mainland city in China to implement a global approach in the promotion of its tourism industry. Li Hong explained: “The goal is not only to attract more international tourists and increase our foreign exchange earnings from overseas visitors. 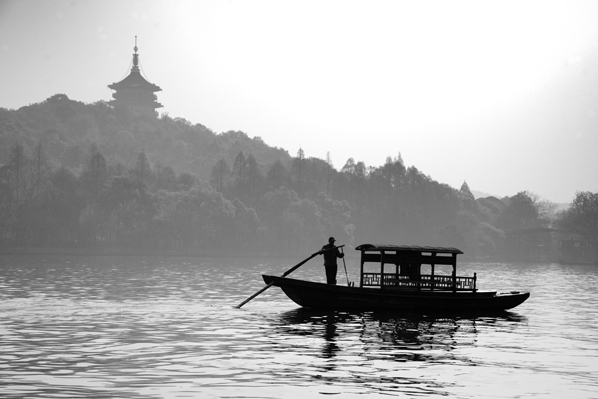 Hangzhou’s marketing strategy encompasses 20 major programmes and 77 smaller projects. These include: an outdoor campaign in several international gateway cities with buses and taxis extolling the central theme and slogan “Unseen Beauty, Unforgettable Hangzhou”; promoting Hangzhou cuisine and Chinese medical tourism, and developing its meeting and convention facilities. In addition, tourist reception centres are being set up around the city. Almost eight million people reside in the city and in the year 2012, it welcomed 80 million visitors - five per cent of which were from outside China. Currently, the average tourist spending is half of the international average, with duration of stay also lagging behind cities both inside and outside of China. As China is expected to surpass France as the largest tourist destination by 2015, Li Hong believes that the pace of internationalisation throughout the whole country needs to be accelerated in order to meet the demands of an ever-increasing number of inbound tourists. Hangzhou is one of the six oldest capitals in China and an integral part of the world’s sixth largest economic centre - the Yangtze River Delta. Offering 5,000 years of rich culture, it was established as an important city in Chinese civilization by 221 BC. When Marco Polo visited 800 years ago, he declared it “the finest and most splendid city in the world. The city is located on West Lake, a UNESCO World Heritage Site. The Grand Canal, the world’s oldest and longest man-made canal, begins at Hangzhou and ends at Beijing and incorporates 132 heritage sites (seven of which are in Hangzhou). The city has a well-known heritage in the production of fine porcelain, silk and tea, and tourists may visit museums dedicated to each and learn how these skills have impacted civilization generally. 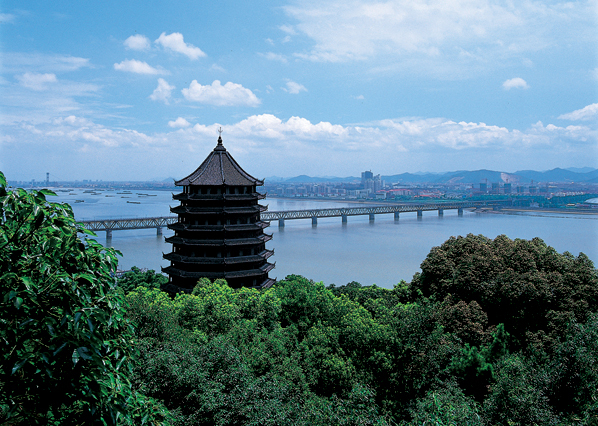 Hangzhou is at the centre of stunning natural landscape with the West Lake encompassed on three sides by hills. The lake, a fusion of culture and nature, has inspired famous poets, scholars and artists since the 9th century. Ten scenic sites have been given poetic names such as Autumn Moon, Twin Peaks Piercing the Clouds, etc. There are two causeways and three islands with picturesque pagodas, pavilions, lush gardens and historic temples. Hangzhou is the political, historical and cultural centre of Zhejiang Province on the southeast coast of China, only 45 minutes from Shanghai on the bullet train. To facilitate connectivity within the city, use of bicycles is encouraged as a means of transportation and may be rented by the hour.